Hello there! Amanda here today to share this month's mood board! I had a bit of a nautical inspiration for colors this month, playing on navy and red, but I mixed it up a bit with a Deep Coral instead of true red and adding in Glacier Blue. We just got back from an Alaskan cruise and had the BEST time. I can't wait to get some layouts done using these colors with my vacation pics! The My Minds Eye By The Sea collection is just about perfect for it too! I hope these colors inspire you this month! As always, we love to see what you create! You can comment below with a link to your project, share on Instagram using #BRImoodboard or post in the new Butterfly Reflections Ink FB group! such lovely colors, i must play along. 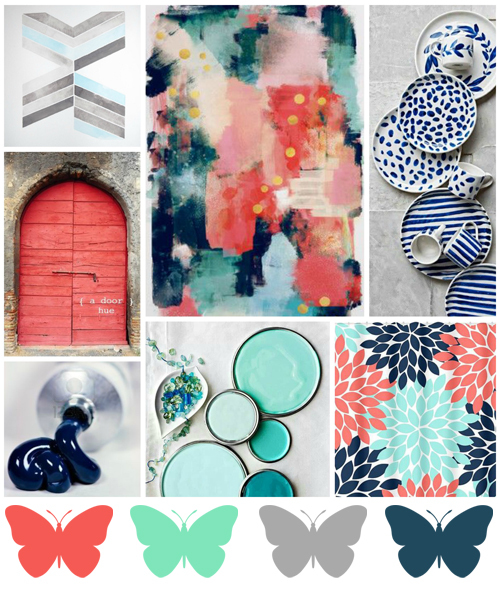 What delightful colors on this mood board! Here's a link to a card I made for this challenge. I hope you'll visit me and check it out!